The spot from Grey-London portrays one man’s 40-year ride to the top – not without bumps- encapsulated completely within one elevator ride. The genius of it is that, without dialogue or caption, it conveys a story brilliantly in which we are allowed to fill in (or assume) the details. The tie-in to the brand (HSBC) can also be perceived many ways, but it can be assumed that the journey of this brand, born in 1974, is personified by the one man’s trip ‘up’. It also shows the business from one man’s life from both sides – with personal and professional triumphs. At one point he is seen in conflict, another in defeat and others are life-milestones celebrated. Its a brave and well-crafted emotional roller coaster that keeps us involved and thirsty to know how it ends. It’s a novel, effective style of storytelling that lets the audience fill in the blanks and promotes repeat viewings. 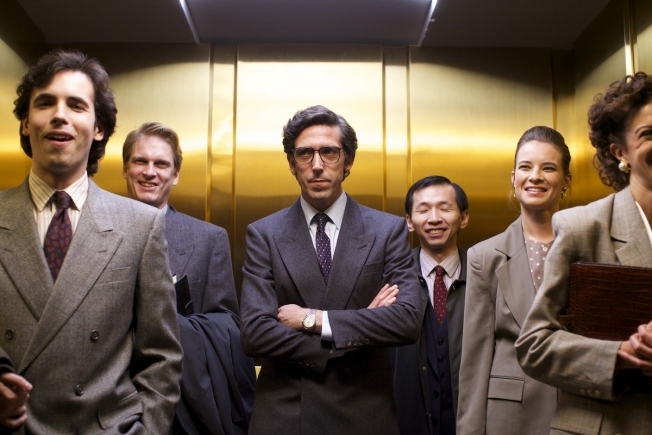 (As Mad Men proved, you can get more drama out of elevator scenes than you might think.) I can see such clever storytelling leveraged for a brand such as ETS, to portray, without verbose narration, how one young person who grasps opportunity, can have a very positive life change as we continue conversations around scaling up our use of more visual channels that utilize video. Leaving out words can create a more universal message and allow for acceptance across many cultures and markets as well. Well done! This entry was posted in Case Studies and tagged Advertising, Financial Services, storytelling, Video, Viral, Viral Video by Marc DeNatale. Bookmark the permalink.